Michele is currently a faculty member at U.C.L.A. and previously taught at U.S.C., C.S.U. Long Beach and the Phil Mattson School. In demand internationally as a jazz clinician/adjudicator, recent notable presentations include the World Choral Symposium in the Netherlands, the National A.C.D.A Conference and the I.A.J.E Convention. Michele has served as co-chair of vocal jazz for I.A.J.E., as an ARTS panelist for the National Foundation for Advancement in the Arts and as co-conductor of the World Youth Choir. Calling all current and would-be jazz musicians - you have some serious reading and woodshedding (practicing) to do, 232 pages worth! A former member of the Grammy-nominated Phil Mattson Singers, Michele Weir currently teaches at UCLA, and has taught at USC, CSU Long Beach and the Phil Mattson School. "Vocal Improvisation" is designed for singers, students and teachers of vocal jazz. 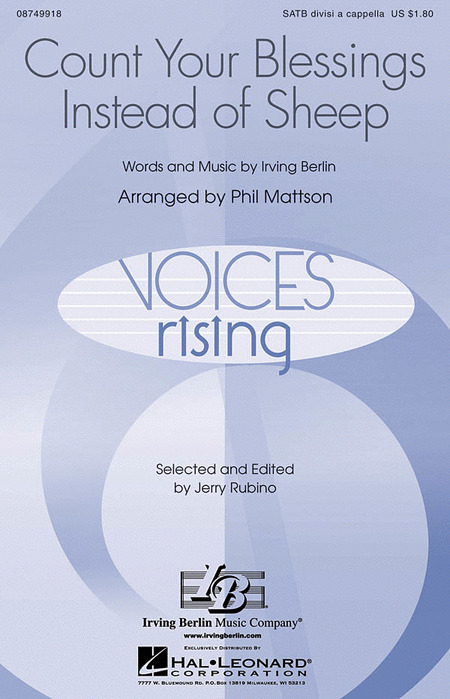 There is a CD that contains vocal examples with rhythm section background. The exercises are appropriate for all levels of experience, from beginning to advanced, and also be useful to instrumentalists for developing jazz articulation. A tremendous resource of information for any jazz musician! The Jazz Singer's Handbook provides an inspiring and practical window of insight into the world of professional jazz singing. Drawing upon an impressive career as an arranger, teacher, singer, pianist, and clinician, Michele Weir (faculty, UCLA) has distilled her experiences and observations into two handbook sections: the artistry and the mastery of singing jazz. Also included is a jazz chord library, a professional resource guide, a review of music fundamentals, and an index of terms and symbols. 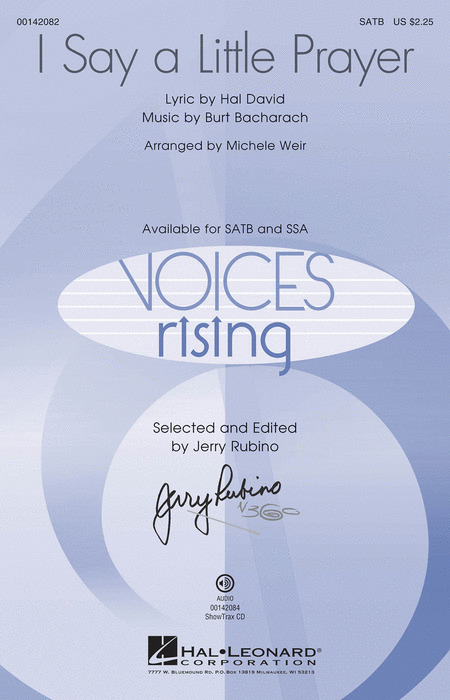 The CD includes sing-along tracks for standard songs, many of which are in two keys for different voice ranges, plus recorded examples of the performance and arranging concepts presented in the text. After a reflective, rubato opening, this accessible unaccompanied setting of the beloved Christmas favorite moves into a gentle rock groove. Excellent for pop, jazz and concert groups to perform in concert and in the community. From the pen of one of the founding fathers of bebop comes this fun medium swing tune. A challenging arrangement, but well worth the effort! Available separately: SATB, IPak(R) and ShowTrax CD. Performance Time: Approx. 4:00. 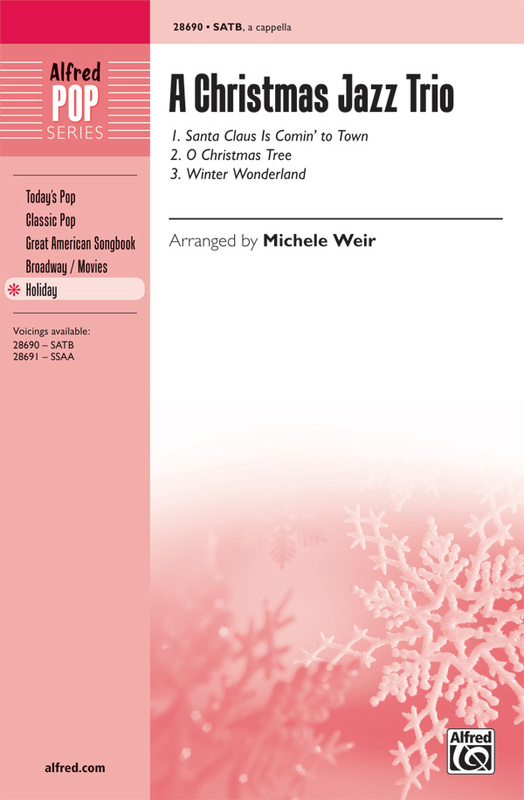 Michele Weir follows up her best-selling "A Holiday Jazz Trio" with a second group of three Christmas numbers arranged in a light, a cappella, vocal jazz style. Excellent material for your show and jazz choirs. Appropriate for beginning or established groups. 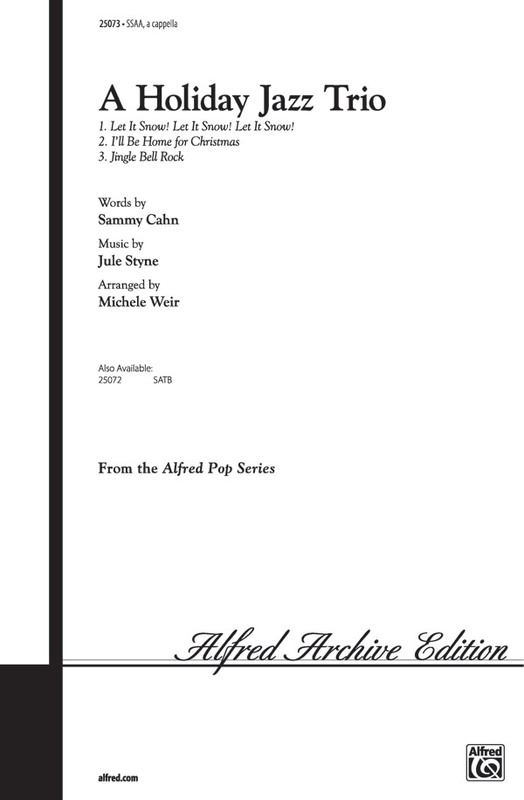 Here is a great standard arranged by one of the most prominent vocal jazz writers in the United States. Well known for her high-end vocal jazz writing, this new piece demonstrates Michele's ability to craft an arrangement for high school ensembles.